Join Life's An Adventure on a fantastic 3 day Bay of Fires walk in the beautiful Conservation Area. Situated on the east coast of Tasmania in Australia this magical landscape of stunning contrasts features pure white beaches, vivid orange granite boulders and a ribbon of sapphire and emerald seas, all fringed with rich forests. In 2009, the Bay of Fires area was named one of the world's hottest travel destination by international guide book Lonely Planet, once you experience it first hand, you'll understand why. They say "White beaches of hourglass-fine sand, Bombay Sapphire sea, an azure sky - and nobody. This is the secret edge of Tasmania, laid out like a pirate's treasure map of perfect beach after sheltered cove, all fringed with forest. It's not long since the Bay of Fires came to international attention and the crowds are bound to flock. Now is the time to visit". Bay of Fires Guided Walk with Life's An Adventure is for those looking for an affordable walking experience with the creature comforts! Your bags will be transported each day, leaving you free to enjoy your walk without having to carry a heavy pack. As the Bay of Fires Conservation Area is a remote and secluded area, you will spend two nights at our waterfront beach shack on a beautiful Ansons Bay at the Bay of Fires. You'll be treated to fine Tasmanian Ninth Island wine and cheeses, delicious dinners featuring wonderful Tasmanian produce and more. A wonderful 3 day Bay of Fires walking experience. wild coastline. The Tarkine is one of Tasmania’s greatest treasures. 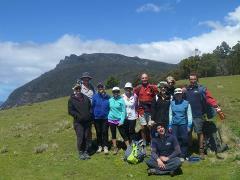 3 day walking experience of wonderful Cradle Mountain & Walls of Jerusalem National Parks in north west Tasmania. 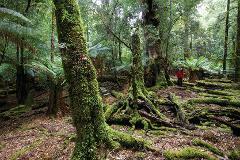 3 day walking experience of wonderful Cradle Mountain National Park in north west Tasmania. 3 daywalking experience of wonderful Cradle Mountain National Park in north west Tasmania. On the East Coast of Tasmania lies magnificent Freycinet National Park a peninsula with a dramatic coastline of cliffs, coves and beaches. The breathtaking towering granite mountains, known as the Hazards dominate the landscape of the Park surrounded by the stunning turquoise waters of Coles Bay and Great Oyster Bay. At the edge of the peninsula lies magnificent Wineglass Bay voted as one of the top 10 beaches in the world. 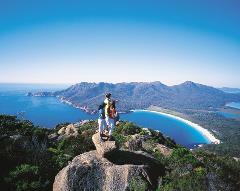 The Freycinet walk along the Peninsula Circuit of the National Park is ranked as one of Tasmania's 5 Great Bushwalks. Our 3 day Freycinet Experience & Guided Walk with Wineglass Bay Tour includes all of Freycinet's finest features from colourful woodlands of blue gums and peppermints, heathlands, breathtaking granite peaks, abundant birdlife, stunning beaches and the most incredible scenery you can imagine. 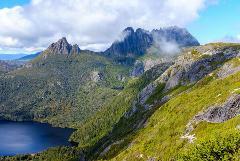 This fantastic 3 day walk explores Lake Peddar and Tasmania’s South West Wilderness region, a world heritage area of ancient rainforests, majestic peaks and pristine lakes. 5 day walking experience on the beautiful Flinders Island, lying above Tasmania. 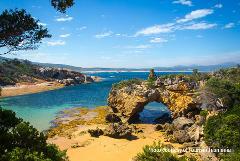 Lying above Tasmania is the fascinating Flinders Island famous for its tranquility, unspoilt natural landscapes and abundance of wildlife. On this 5 day walking experience you’ll witness breathtaking views from the top of Mt Strzelecki, and explore the pristine National Parks as we discover the island’s best walking trails. With 120 pristine beaches, more than 65 shipwrecks and rugged mountains rising from the sea, there are few places better to visit. 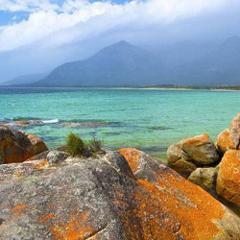 7 day walking experience on the beautiful Flinders Island, lying above Tasmania. 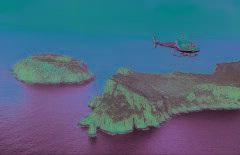 Lying above Tasmania is the fascinating Flinders Island famous for its tranquility, unspoilt natural landscapes and abundance of wildlife. On this 7 day walking experience you’ll witness breathtaking views from the top of Mt Strzelecki, and explore the pristine National Parks as we discover the island’s best walking trails. With 120 pristine beaches, more than 65 shipwrecks and rugged mountains rising from the sea, there are few places better to visit.